Easy and basic tips on how to know a legitimate online marketing system from a fake one. Does a legitimate online system” exist? You must have read some blogs on how to detect Legitimate online marketing system or detect fake online money-making systems. There are indicators that point to a genuine product and there are legitimate digital marketing systems or training I can vouch for. Most of these are the opposite of the make money online scams. There’s no better way to know if it’s a real online marketing systems than community involvement. The community is the most important thing to look for when joining a program. Fake systems will not want other members talking to each other. If a program offers a completely free intro (meaning NO CREDIT CARD), it’s a good flag. It means they’re confident to show you up front before you buy. They usually provide value to you before you take the decision to register and buy their advance training guides. Can you get support or help when you need it? Are they being very explicit about what they do? 3- They describe the whole process BEFORE You register or purchase an online marketing system, Not After. This point is the best for me on how to detect Legitimate online marketing systems. Never join something that hides the entire process behind a pay wall. Creating these courses and programs takes a lot of time and money. So, it’s understandable that people will be guarded with what they offer as free content. If you come across one that does have plenty of positive comments and user engagement. Some people say this is completely how to detect Legitimate online marketing systems. But i will say Spend some time to read through the comments, and ask a question or two. Also, make sure you Check if it is real. Quite often they are just photo-shopped images and do nothing when clicked on. 5-Has the Program Existed For a few years? If a program has been around for several years or longer, you can probably trust it. Scams don’t usually last for long. At least, not under the same name. A great example is The Six Figure Mentors who still have active members going back as far as 2010. When researching a product, check out when it was created. This is the internet age. There are junk stuff out there but “WOW” … some incredible stuff too. The knowledge and experience and the way we communicate nowadays are fascinating and some mean a lot to humanity. If you decide to sign up for a program, there’s no guarantee that you’ll get what you’re looking for. But with little research and attention to the key indicators mentioned in this article will tell you how to know a Legitimate online marketing system and chase fake online money making scams away, instead of having them grab your wallet. As for me, I found a system which is a real online marketing system, with proven steps and tools to make money online. As you can see I am a byproduct of that training providing value as taught. Curious enough, MEET MY MENTORS to know more about their programs. Please leave a comment below; I’d love to hear your thoughts. Have you been scammed before? What do you look for in an internet marketing system ? If you found this article useful, or think it might be helpful for others… Please share. 10 Magic points that predicts its a fake make money online system. It’s nice to work from home, have more freedom, more time and independence with just a laptop and the internet. 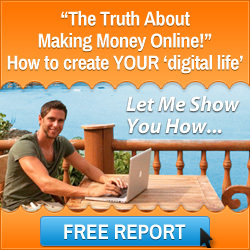 People usually ask the question, Is make money online real or a scam?. There exist both real make money online systems and fake ones. The internet lifestyle appeals to just anyone who wants to earn money online, the reason why it is flooded with scams. Disclaimer: The information provided here is just a guide based on personal experiences, not a standard to be relied on completely. Use this article alongside other related ones. Bellow are 10 points that can help you detect make money online scams. If they request money for registration or investment immediately with no explanation of details about their system,like what they do, then watch out. An exception could be for those who request money for training , but this should not be on the first day you visit their site. 3 – Being contacted directly by a company you’ve never contacted before. Emails offering earn real money online systems or “too good to be true” business opportunity. Most people who fell for this scam were offered a better-paying position. This is obviously false if you never subscribed to their newsletter. If their promises seem so lucrative (make $1,000 in a day or so,) – I am not saying it is not possible, but be alert when you see such promises. How would the owners make money if they are paying you so much for so little work? keep your eyes on what you will do to make such huge sums. If a company only communicates through online chat, that could be an indication that it is not legitimate. Ask to talk by video call or even voice call , if they decline, run away. 6 – Is it realistic and do you know what you will be doing? is it possible under normal circumstances? do you know what is happening in the background? Run away from anyone who asks you to invest X amount of money to get 3X amount in return without details of what exactly they did to produce the income. 7 – No verifiable contact information or representing names and faces. Check their website for their location and details about the founder and team involved.Anyone who has put the time and effort to create a program is proud of it. Real make money online systems always provide the ability to submit a support ticket or a contact form .Fake make money online systems could also have it but be extra courteous. If you find none of the above, raise a red flag. Another semi-scam here is when you register thinking it’s a one-time payment, but it turns out to be monthly recurring. Any real money online system who didn’t tell you at sign-up that it’s a monthly or yearly registration but does that latter is fake. Run for your life. 9 – Is it all about the money? The truth is, most people that earn legitimate income online are not living extravagant lifestyles. The ones that do, don’t exaggerate their claims and brag about it. A “luxury lifestyle” is possible but its hard work and commitment. Normally a few positive reviews exist, which is normal. If you see the negative comments or reviews outnumber the positive ones, say 70% and above, it’s a red flag. Do more investigations. If you follow the above instructions thoroughly, you will be able to spot a Fake MAKE MONEY ONLINE System. All said and done, I can vouch that there are still authentic and legitimate systems that help you earn extra income using just the internet and laptop. Have you ran into any scams recently? What do you look for in a legitimate online marketing systems?